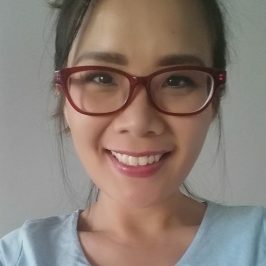 May is a bilingual (English and Mandarin) teacher who specialises in Singapore Primary Mathematics. She graduated with a Post-graduate Diploma in Education with Merit (Specialisation in teaching Primary School Level) at National Institute of Education (Singapore). She has three years of teaching and classroom experience in primary school Mathematics and was also level representative for Mathematics for two years in which she crafted worksheets, tests and examinations. In her eight years of tutoring primary school students in Mathematics, she has been using the Singapore Math Bar Modelling method which allows students to effectively solve Math problems through visual representation. May is also able to prepare the students well for tests by highlighting to students the patterns to look for in questions. She takes time to curate lessons for their students as she understands that their learning patterns are unique She believes while facilitating the lesson is critical, a good relationship with students and parents would lead to a higher learning retention rate. May is our home tutor for London and also covers primary Mathematics online.